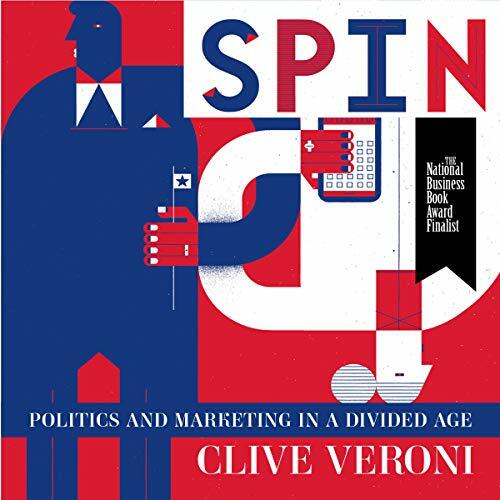 In the tradition of Malcolm Gladwell’s Outliers and Daniel Kahneman’s Thinking Fast and Slow, Clive Veroni’s Spin is a fascinating investigation of how the techniques of political strategists are being applied to the world of consumer marketing. In the early 20th century, political operatives did their work in the back room, a shady place of secret deals and dark arts. By the middle of the century, the politicos were heading to Madison Avenue to learn the techniques of mass communication and persuasion. Today, they have moved from the dim light of the back room to the bright lights of the war room, the central command for political campaigns. And along the way the pupil has surpassed the teacher. Aided by masses of data, sophisticated computer modelling and smart manipulation of social media, political strategists are reshaping the way voters think. And act. Forward-thinking marketers are now adopting these techniques to convince consumers to buy their products. The strategies being used to influence our choices at the ballot box will soon be used to influence our choices in the grocery store. Drawing on political and marketing stories from North America, Europe and beyond, Spin gives readers an insider’s view of this stunning turnaround. The book will focus on well-known characters from the worlds of politics and marketing and reveal how all of us will be affected by the surprising new ways in which companies will try to persuade us to vote for their brands. Presents an interesting perspective on spin in the media. The author weaves examples from brand image and product advertisements into politics and back to compare and contrast the differences and growing similarities between the two. The narration was average. He had good elocution and pace but sometimes it seemed as if he was reading someone else's work and wasn't really connecting. I have no major issues with his style but I was actually surprised to see that it was read by the author. The only downside I can see would be for listeners who are far to the right on the political spectrum. It is, of course, impossible to write a book on spin without real-life examples from politics. I think the author does a decent job of balancing his political examples but they seemed, to me, to be skewed slightly in favour of the left. For most, this wouldn't be an issue, but it would annoy a few.